This story originally appeared on May 7, 2015. Five years ago, Lockheed Martin told U.S. Air Force officials that Taiwan’s air force was on the verge of collapse and no other defense contractor in the world could help. Eager to sell F-16s, the company went on a P.R. blitz. The pitch — Washington and the Pentagon needed to sell fighter jets to Taiwan … or else. “Immediate action required to modernize Taiwan air force or trends may be irreversible,” one bullet point declared. “Window for decision closing,” another ominously noted. War Is Boring obtained the briefing’s notes and slides via the Freedom of Information Act. We don’t know how Lockheed scored its audience with the U.S. Air Force or exactly who attended. The contractor’s briefing is the only one cited in the Pacific Air Force’s official history for 2010 and 2011. We received a heavily redacted copy of this report through another FOIA request. The presentation is a revealing look at how Lockheed lobbies senior U.S. military officials. The company also picked a great time to make the pitch. Two months before the meeting, the Defense Intelligence Agency had released a scathing summary of Taipei’s air defenses. 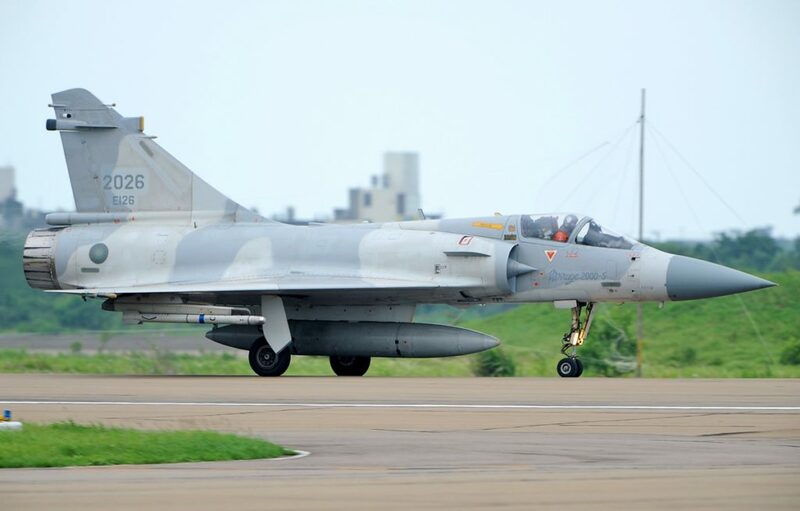 Taiwan’s fighter pilots hadn’t received new planes for more than a decade. Successive American presidents since the Clinton administration have refused to sell F-16s to Taiwan, because of concerns about upsetting China. At the time, Taipei had a mix of older American F-16A/B Falcons — bought in 1992 — and F-5E/F Tiger IIs, French Mirage 2000s and a number of domestically produced F-CK-1 Ching-kuos. Taipei was well aware of its mounting problems. Three years before Lockheed’s briefing, Taiwanese officials asked Washington for more modern F-16s to replace the aging designs and supplement its older Falcon variants. Purchased in the late 1990s, the older-model F-16s are Taiwan’s most advanced fighters. The F5s first flew in 1972. In 2007, an F-5F trainer crashed into an Army base in the northern part of the island, killing the two pilots and three Singaporean soldiers who were training at the facility. Two years later, another Tiger II crashed off the coast. Taiwanese aircrews also worried about losing their Mirages. As economic ties with China expanded, the French government worried that selling weapons to Taipei could set off a diplomatic spat with Beijing. “Due to the lack of affordable spare parts, the Taiwanese air force struggles to maintain mission capable rates over 30 [percent],” the defense contractor stated. Lockheed also derided the Ching-kuos—named after former Taiwanese president Chiang Ching Kuo — as a poor F-16 knockoff. In 1984, Taiwan’s Aerospace Industrial Development Corporation started developing the Ching-kuos after Washington refused to sell the more powerful American fighters. As a small consolation, American defense contractors helped design the aircraft, also known as the Indigenous Defense Fighter or IDF. The resulting F-CK-1s don’t have the F-16’s range and can’t carry as much weaponry. The Ching-Kuos have two engines — modified civilian designs — that don’t produce as much thrust as the Falcon’s single jet motor. Lockheed even added a veiled threat — it argued the company’s entire F-16 production line might grind to a halt without a new sale to Taipei. The company also dismissed its competitors’ fighters. Lockheed told the Air Force that the Boeing-made F-15 and F-18, the French Rafale, Swedish Gripen and the Eurofighter were not viable options. None of the manufacturers would risk selling weapons to Taiwan, because they feared China … according to Lockheed. Then, Lockheed’s briefing implied that without Falcons to offer in the future—since the company would stop making them—the Pentagon would have little choice but to sell Taiwan … F-35s. A new F-16 package “keeps Taiwan in the fourth-generation fighter family” and “forgoes possible escalation to fifth generation fighter,” the briefing stated. In other words — if the U.S. decided not to escalate tensions with China now, it would have to dramatically do it tomorrow. Of course, the U.S. doesn’t have to sell F-35s to anyone, let alone Taiwan. Washington and the Pentagon didn’t buy into Lockheed’s pitch. The contractor and its political supporters didn’t take it well. “It remains to be seen whether this administration is going to kowtow to the Chinese or if it’s going to support the Taiwan military as previous administrations have in the past,” an aide to Sen. John Cornyn, a Texas Republican, told the Fort Worth Star-Telegram in July 2011. In the end, Washington allowed the company’s aviation division to upgrade Taiwan’s existing Falcons. Lockheed expects to install new radars, electronic countermeasures and other systems on the planes—renamed F-16Vs — soon. And despite what company reps told the Air Force, Lockheed’s Falcon production line is still up and running. But if the 2010 briefing is any indication, don’t be surprised if Lockheed once again goes back to the flying branch with warnings of imminent doom—while dissing Taiwan’s warplanes—after it’s finished with the F-16V.